I like to have some images from each session of the star by themselves, this gives them a chance to shine and have memories of a special time for their and life times to come. Photography of a Beautiful little baby boy, contemplating a smile or a cry. 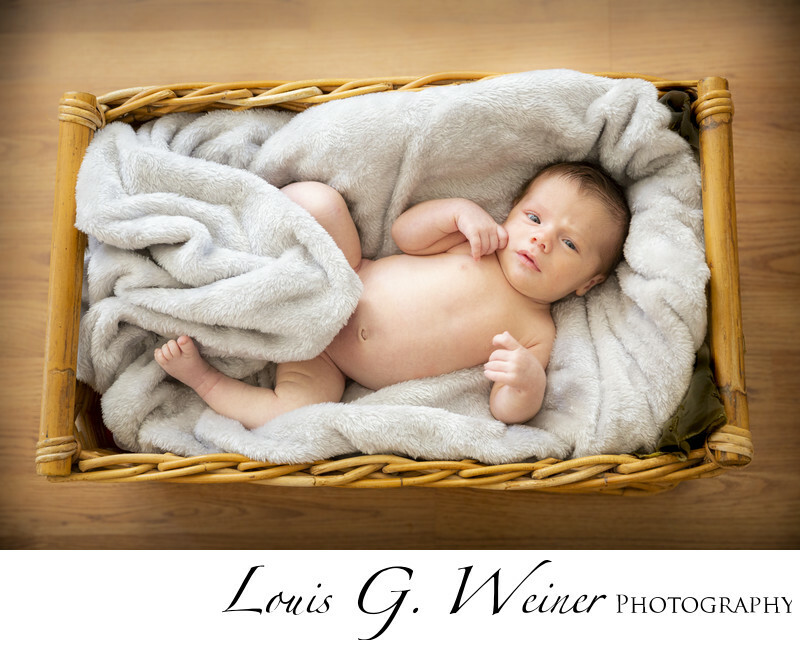 Intimate portraits of infants / Babies in their home with studio lighting set up for soft inviting lighting touch. Setting up studio situations in my clients homes allows for the least amount of disturbance in the baby and families life, the studio can generally be set up in less than 30 minutes with minimal disruption the to the family and I do not count this time in the session.